I have been involved in sport from a very young age; encouraged and supported by my parents I regularly played sports such as football, tennis, badminton, cricket and hockey for school and local clubs since the age of ten. As it became more difficult to find time for all of these sports I made the decision to give up my dream of playing football for Liverpool and concentrate on badminton! I’ve been actively involved in the sport as either a player or a coach ever since. As a junior player I represented Merseyside and England at all age groups. In my final year as a junior I was lucky enough to win a number of international tournaments, mainly in doubles events. 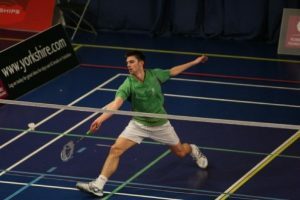 Despite this, singles became my preference and upon leaving school I was invited to join the men’s singles squad at the National Badminton Centre, training with coach Steve Butler and the rest of the England Senior Squad. 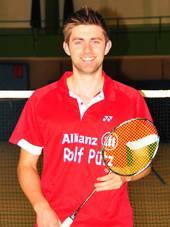 As a senior player I represented England at the Thomas Cup and also won an international tournament in men’s singles. Throughout my time training I also attended university – both at Bath and at Leeds Metropolitan – and despite regularly competing internationally, I also thoroughly enjoyed representing the university in both team and individual competitions. Badminton England’s High Performance Centre in Leeds, as well as being a Head Coach at Leeds Performance Centre and the Head Coach for Leeds EPT. I also performed a consultancy role for Badminton England where I helped and advised fellow Performance Centre coaches across the Yorkshire and the North East. I have been lucky enough to work with a wide range of performance players, both junior and senior, which has given me great experience of coaching in group sessions and on an individual basis. I’ve also been very lucky to work with and learn from some great coaches along the way. I now work full time away from badminton, but I still like to remain involved with the sport as much as I can. From a playing perspective I still compete at county level, having represented Lancashire 1st team over 100 times, although recent results suggest it might be time to call it quits! I like to play socially with friends when we can find the time and an available court, and I’ll always enjoy coaching. Outside of badminton I enjoy travelling and visiting new places, plus I take a keen interest in most other sports. I regularly travel to Anfield (and Wembley) to watch Liverpool play football; I still haven’t given up on getting a game one day!